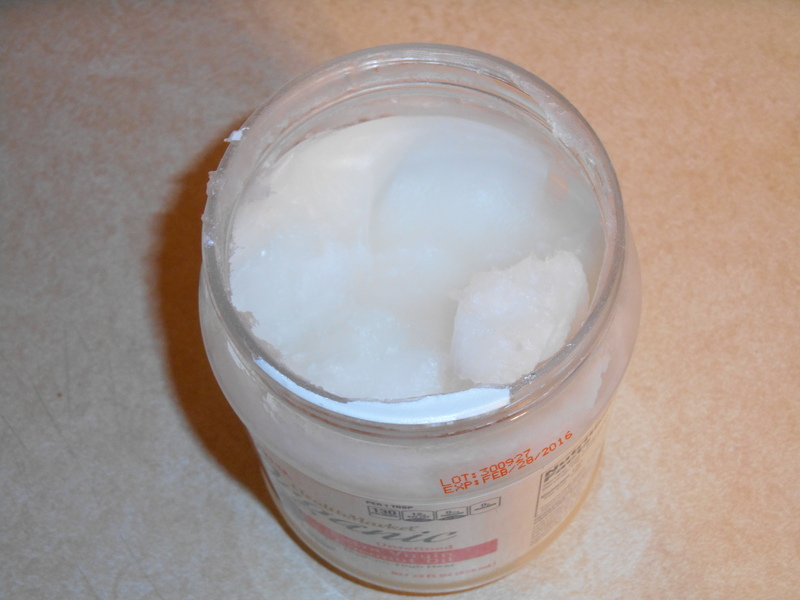 I have been oil pulling every morning for 2 weeks now (click to see my first post on oil pulling.) I’m kind of surprised I’ve been able to stick with it even this long. I am hoping to form a habit by oil pulling every morning for 21 days. I’m interested to see how it goes when my regular job starts up again in mid-August and I don’t have as much time in the mornings. I have noticed that the sore spots on my gums are gone. In fact, they were gone after just several days. I have also noticed that the skin on my lips requires less moisturizing – as long as I can remember, I’ve had very dry lips. I have only had one headache since starting oil pulling, but I don’t know if that’s related, because I only have headaches once a week or so. I haven’t noticed whiter teeth yet, but this could be for a few reasons. My teeth were pretty white already. It’s only been 2 weeks. I haven’t been paying that much attention to the color of my teeth because it was not my number one concern regarding oil pulling. Here’s a picture of my teeth right now, for reference sake. It’s pretty weird looking at my mouth like that, trying to show as many teeth as possible! As far as I knew, I didn’t have any cavities, so I’m not testing that out. Since the third day, I’ve been using a regular table spoon to take the oil. The third day I took 2 teaspoons of oil and plopped it on a regular spoon, and have been getting about that amount since. It’s perfect. My cheeks still get sore from swishing – wonder if I’m being too vigorous? – but that goes away quickly once I’m finished. About how much oil I use daily. Not an exact science. One thing I don’t like about oil pulling is when I have to yawn or burp with the oil in my mouth! Thankfully, I haven’t had to sneeze yet! I’m concerned about when I get a cold and am unable to breathe through my nose. I guess I’ll have to skip on those days. I’ve done a lot of things during my quiet mornings oil pulling – showered, washed dishes, perused the internet, read a book, and once I even walked on the treadmill while oil pulling. My point is, you don’t have to sit down and focus on the oil in your mouth. You go about your business. Do you oil pull? How has it affected your life?